Everything about UnitiQute 2 is cute. It could not have been given any other name. It’s a compact, multi-source, all-in-one player that streams music at up to 24bit/192kHz resolutions over UPnP™. At its heart lies a 30W integrated amplifier that will drive a wide range of bookshelf or standmount speakers and fill your room with music. Our Naim Audio app for iOS and Android integrated with TIDAL, lossless audio streaming service makes the package even more appealing. UnitiQute 2 may be compact but it packs some serious audio technology within its elegant extruded and die-cast aluminium enclosure. 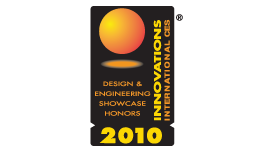 Its digital audio performance profits immeasurably from literally decades of high-end digital audio and amplification knowhow. 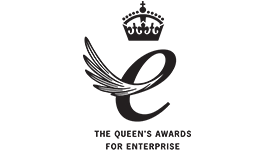 The integrated amplifier section of the UnitiQute 2 has been influenced heavily by the iconic NAIT range while it also benefits from Naim Audio advancements in digital streaming technology that won a Queen’s Award for Innovation in 2014. Its digital connectivity also means that as well as offering all-in-one functionality operating as a digital hub for external digital sources, games consoles or digital TV audio for example, it can also output its internal sources or external digital signals to an external DAC for even higher audio quality. Analogue audio connectivity is not forgotten either. Two analogue inputs can accommodate CD players or portable music players via rear panel phono sockets and a front-panel mini-jack. 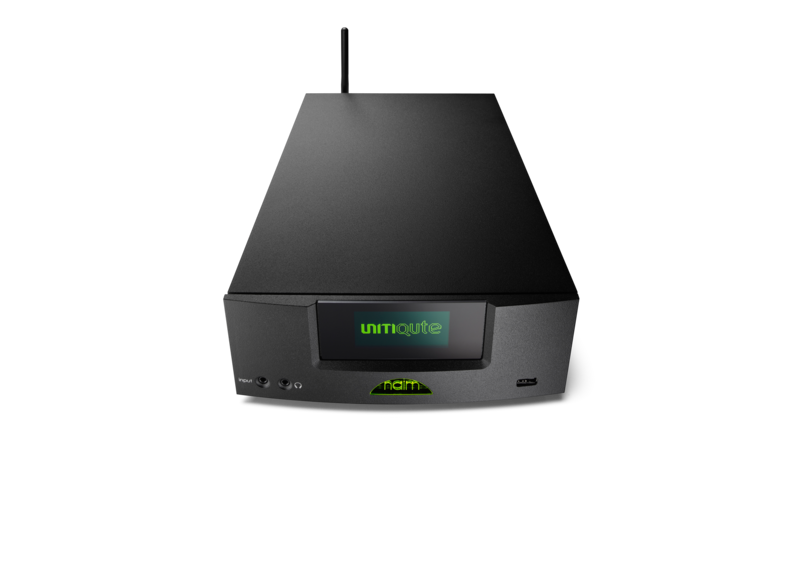 And a preamplifier output means that with the addition of an external power amplifier, or even a sub-woofer, UnitiQute 2 can become the heart of a very wide bandwidth audio system. And when you want to listen privately, a front panel headphone socket makes such selfishness all too easy. Master: Will stream WAV, FLAC and AIFF (up to 24bit/48kHz), ALAC (up to 16bit/44.1kHz), AAC and MP3 (up to 16bit/48kHz) files only as MP3 320kbps quality. 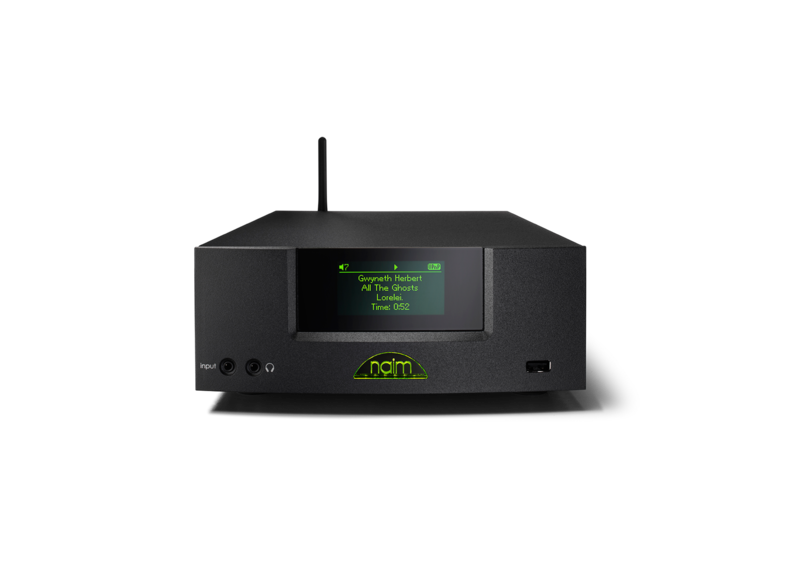 Remote handset included and optional Naim app for iOS and Android. "The ‘open, fast and superbly weighted’ character we noted in the UnitiQute 2's forebear is just as evident here, along with effortlessly accomplished timing and tremendous detail-retrieval." "The UnitiQute is well-specified and, most importantly,capable of a strong sonic performance." 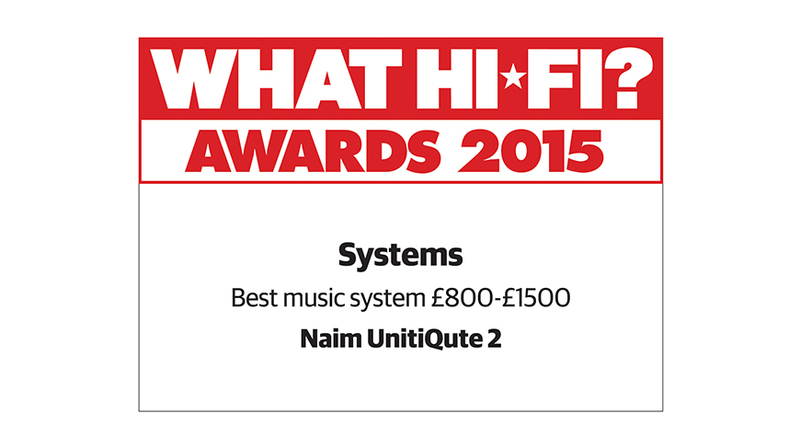 "The UnitiQute is capable of delivering a big sound, and has amazing flexibility. 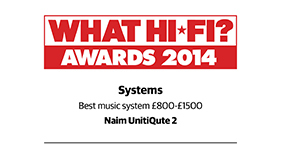 Naim had better crank up production: this little system is going to be big." 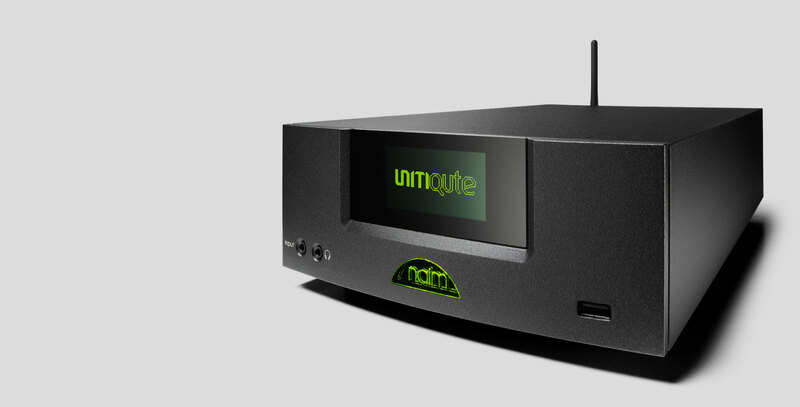 "The more I listened, the more convinced I became that the UnitiQute is the real deal - a disc-free, pint-sized piece of Naim gear with an affinity for computer music and associated networks." "A flexible package likely to have as much appeal as the original uniti - if not more."